One of the advantages you enjoy as an employee of a LOCO member company is the opportunity to join the LOCO Critical Illness Insurance Program. Critical Illness Insurance provides a tax-free, lump-sum payment if you are diagnosed with one of 25 life-changing covered conditions (plus an additional 6 child-related illnesses for your children). Up to $300,000 in coverage for you and your spouse, and up to $10,000 for each of your children, completely tax-free. No restrictions on how you use your money. If serious illness interrupts your life, don't let worries about money get in your way of getting better. 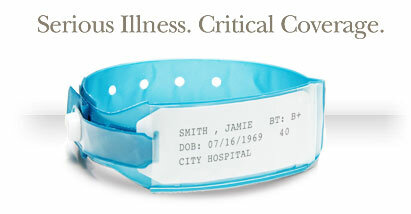 Critical illness insurance pays a lump-sum benefit directly to you upon diagnosis of a covered condition. The benefit payment is tax-free, and you can spend it any way you wish. Your benefit amount is tax-free, and can be used in any way you wish. Common uses include paying off debts, home adaptation, child care, investment, vacation, supplementing your pension, or lifestyle changes. Should you choose to use private medical facilities, Claims at TuGo may help make your money go considerably further than if you personally arrange medical treatment. You can find more information at tugo.com/en/claims/tms. Note that utilization fees may apply. Your critical illness insurance benefit is NOT dependent on whether or not you are able to work while you are ill, and whether or not a full recovery is made. The AdvanceCare Benefit will pay 10% of the total benefit amount for coronary angioplasty and several early stage cancers. Not available for dependent child coverage. All regular full-time and part-time employees of a member of the LOCO Business Network, working a minimum of 20 hours per week at full pay and their spouses are eligible to apply. Applicants must be under age 70 and residing in Canada. Dependent children are also eligible to apply provided they are under age 21 (up to 24 if they are enrolled full-time at a post secondary school) and the member also applies for coverage. Insurance will take effect on the date your completed application is approved by Industrial Alliance Insurance and Financial Services Inc. and your first month's premium has been paid. The Covered Condition Benefit is a tax-free, lump-sum benefit which will be paid if you are diagnosed with one of the 25 covered critical illnesses. This benefit will be paid to you if you survive for 30* days after first being diagnosed with one of the covered illnesses. *90 days for Paralysis, Loss of Independent Existence or Bacterial Meningitis. 180 days for Multiple Sclerosis or Loss of Speech. The AdvanceCare Benefit will pay 10% of the total benefit amount for coronary angioplasty and several early stage cancers. This benefit is not available to dependent children. Are there limitations and exclusions I should be aware of? The insured person must survive for 30 days (90 days for paralysis, loss of independent existence or bacterial meningitis, 180 days for multiple sclerosis or loss of speech) after first being diagnosed for a benefit payment to be made. If you are diagnosed with a benign brain tumour or cancer within the first 90 days of coverage, a benefit will not be payable and benign brain tumour or cancer will no longer be considered covered conditions. Any covered condition or AdvanceCare Benefit Condition diagnosed prior to the effective date of coverage is excluded. No benefit will be paid if the covered condition or AdvanceCare Benefit Condition results from: attempted suicide, alcohol or drug abuse, war or armed forces service, self-inflicted injury, taking poison or inhaling gas, or participation in a criminal act. For blindness, coma, deafness, loss of limbs, severe burns, paralysis or stroke, no benefit will be paid if the condition is a result of participating in hazardous sports or activities. There is also an exclusion for certain pilots. the date of any unpaid premiums. With respect to spouses, the earlier of the above or the end of the policy year following the date they reach age 75 or they no longer qualify as a “spouse”. the date the benefit is paid for a dependent child. What happens to my coverage if I am no longer an eligible employee of this group? Because this is group insurance, you must be an eligible employee to join the plan, and to maintain coverage for yourself and your family. However, conversion to a separate policy is available to you and your spouse before age 65, within 31 days of ceasing to be eligible. A maximum of $100,000 may be converted. * Premiums are calculated each year, based on your age at May 1 and will increase as you enter a new age band. ** Non-smoker rates apply to individuals who, at the time of application, have not used any form of tobacco (except an average of one cigar a month), including nicotine products, electronic cigarettes, marijuana mixed with tobacco, hashish mixed with tobacco, smoking cessation products, betel nuts or leaves, supari, paan, gutka or shisha, within the last 12 months and who have provided satisfactory evidence of insurability. † For renewal only. Last age to apply is 69. Plus taxes where applicable. Rates are subject to annual review. Download and print a paper application. Applying for Dependent Child Coverage? Please also complete the Supplemental Questionnaire for Dependent Children Insurance. Our Client Service Specialists will be happy to help you with any questions you might have. © 2018 Industrial Alliance Insurance and Financial Services Inc. This website outlines the benefits available to eligible Loco Business Network Benefits Plan s and does not create or confer any contractual or other rights. All rights with respect to benefits of an insured will be governed solely by the Master Group Policy issued by Industrial Alliance Insurance and Financial Services Inc.